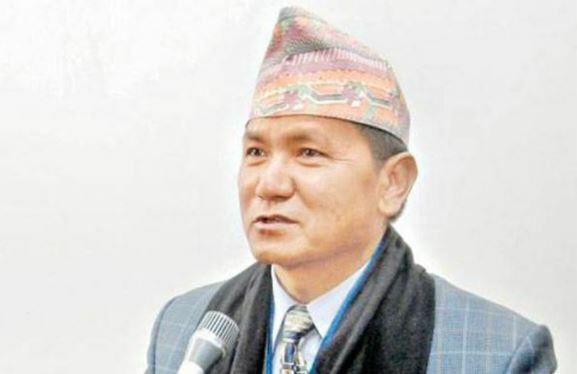 Parbat– Chief Minister of Gandaki State, Prithvi Subba Gurung, has said that there was no meaning of agenda-less protest of Netra Bikram Chand (Biplav)-led group. At a cadres gathering organised at Kushma Bazaar of Parbat today, Chief Minister Gurung urged the Biplav-led group to sit for talks by giving up the illegal and violent activities like obstructing development construction activities and damaging state's property. Saying revolt like of the past would not be possible now, he asked the Biplav-led group to opt peaceful path by holding talks with the government. The Chief Minister said, "I urge the Biplav-led group to come to peaceful politics by stopping violent activities at a time when the country is getting stability." He further said that dissatisfaction was seen in the party over the issue of brining CK Raut into mainstream politics, adding that it would be better to see its long-term impact rather than criticizing. On a different note, Chief Minister Gurung expressed the commitment that development construction activities would be carried out in a speedy manner for the economic prosperity of the state. He added that unification of all levels of the party would be concluded within April 13.